• We have association with Karachi Chamber of Commerce. 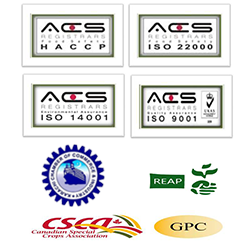 • We are certified with ACS for ISO 22000, ISO 9001, ISO 14001and HACCP. • We take pride to attend most of the Exhibitions and Conferences.